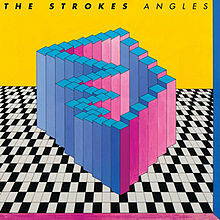 “Machu Picchu” by The Strokes is the first track from their fourth studio album, Angles, released on March 18, 2011 in Australia; March 21, 2011 in the UK; and March 22, 2011 worldwide. It’s their first album since First Impressions of Earth in 2006. Although the song received loads of airplay here in the UK, it seems it was only released as a single in France, where it reached the sunny climbs of No 87 in the charts…….bloody criminal! I've got the first three albums and love them, but not sure about this one. This album's a classic among my friends. I never really got as into it as they did though. Not heard of them before but they're pretty cool. I'm glad I found this blog, Ray! I never knew you had a music blog.